The George Eastman Circle is closing in on 2,800 memberships around the world, which you can now view online. I’m happy to share that the George Eastman Circle has continued its strong growth over the past year. We now have nearly 2,800 members worldwide, and I expect our momentum to continue as we approach the New York regional campaign celebration for The Meliora Challenge in March 2014. In this edition of our newsletter, you can read more about the geographic reach of our membership, which is now displayed online through an interactive map. Since the inception of the George Eastman Circle in 2007, our membership has pledged more than $50 million to the University. Your membership ensures “Medicine of the Highest Order,” research of the greatest magnitude, and an educational experience that is unparalleled. As many of you know, the Campaign recently surpassed the $1 billion mark. I know you were able to take pride in the news because this group has been integral to that achievement. One of the things President Seligman noted at the announcement is that there’s still work to be done, and I couldn’t agree more. We still have a goal to reach, and there are still many areas of the University that need our help. Your continued support remains the key to expanding the George Eastman Circle and the reach and depth of our impact. If you joined us as a Charter Member and haven’t renewed your membership yet, please do so today. If you have apledge payment that is due soon, or if you would like to give an additional year-end gift to the University, I urge you to do so before December 31. On behalf of the University of Rochester, thank you for your leadership and philanthropic support. 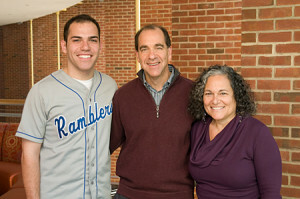 Greg Corrado with his parents, Joe and Debbie. All of our members have wonderful stories to share. We are pleased to feature one such story from a new member who is a senior at the University’s School of Arts & Sciences. Greg Corrado ’14, a senior majoring in chemical engineering, doesn’t intend to follow the traditional engineering path. He plans to attend business or law school and specialize in either engineering management or patent law. 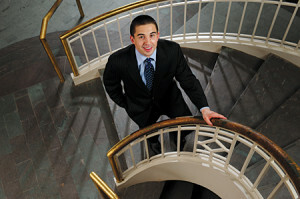 He’s also blazing a trail as one of the youngest members of the George Eastman Circle. Since his first visit to the University of Rochester in the spring of 2010, Greg was drawn to the inherent sense of community across the campus. That feeling has only grown due to his involvement in student government and Greek life, working as a teaching assistant and in the Office of Admissions, and performing with the a cappella group, the Midnight Ramblers. He also studied abroad in Italy, an experience he describes as nothing short of transformative. To Greg, joining the George Eastman Circle seemed like the natural next step. His parents were already members, and he values their philanthropic pursuits and their involvement in the University community. George Eastman Circle members have pledged more than $50 million in annual funds since the program’s inception in 2007. Here is a small sample of the innumerable ways your funding has made an impact on the University and the surrounding community throughout this past year. 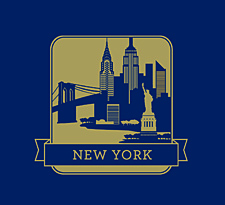 The New York City Masters of Science in Finance, the academic anchor in the city, recruited its second cohort of 28 students. Increased scholarship support enabled the admittance of more than 70 percent of top applicants to the full-time MBA program, while still adhering to rigorous quality metrics. The third annual New York City Conference—featuring Jeff Immelt, Jamie Dimon, and Larry Kudlow ’69—sold out at 350 attendees and bolstered the Conference’s web presence through 140 million impressions. Funding helped the School rank 29th among best research medical schools and 15th among best medical schools for primary care by U.S. News & World Report. Scholarships attracted talented medical students and kept debt upon graduation below the national average. Stipends provided to Ph.D. students allowed them to present their research at scientific conferences—integral to their training and pre-career experience. Residents had the opportunity to enhance their clinical skills and specialty knowledge at scientific conferences and development workshops. Student enrollment has increased 45 percent over the last five years. Orlando O. Harris ’10 (MS), APRN, FNP, became the School’s first doctoral student to receive a Fulbright Award. The School became one of only three schools in the country to receive five rounds of scholarship funding from the Robert Wood Johnson Foundation. A Center for Employee Wellness was launched. The Center will focus on helping employees understand their health risks and support healthy lifestyle changes. Of U.S. dental institutions, Eastman was ranked in the top ten for funding from National Institute of Dental and Craniofacial Research. Technology and equipment were upgraded to help meet the demands of a fast-paced, digital environment and to support our wide-ranging programs in the community. Residents and faculty had the opportunity to present their research and educational projects at national and international meetings. Prosthodontics launched a $1.3 million project to renovate and expand its clinic to prepare residents for contemporary prosthodontics practice. 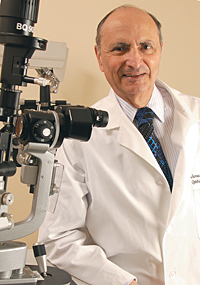 Flaum Eye Institute ophthalmologist James Aquavella, M.D. George Eastman Circle members are making a difference at the University, on a daily basis—through their philanthropy and service to the community. Together you remain vital to the achievement of The Meliora Challenge’s $1.2 billion goal; you provide the dedicated support that enables research and world-class health care and creates countless academic opportunities and experiences; and you are the embodiment of our mission to Learn, Discover, Heal, Create—and make the world ever better. On November 20, the University announced The Meliora Challenge surpassed the $1 billion mark. James Aquavella, M.D., professor of ophthalmology, helped the University surpass this milestone with a gift honoring the memory of his late wife, Kay. The gift created two new professorships in the School of Medicine and Dentistry: the Catherine E. Aquavella Distinguished Professorship in Ophthalmology and theJames V. Aquavella, M.D. Professorship in Ophthalmology. To read more about Dr. Aquavella and his gift, click here. The University of Rochester Medical Center (URMC) recruited and essentially built a pediatric surgery department aroundWalter Pegoli, Jr., M.D. Pegoli, director of pediatric trauma at Golisano Children’s Hospital, has demonstrated excellence in every facet of his work, which led to his installation as the inaugural Joseph M. Lobozzo II Professor in pediatric surgery on November 20. 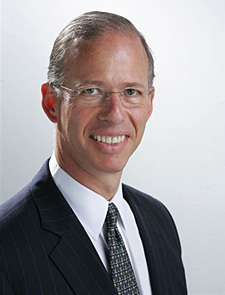 Charter Member Joseph Lobozzo, founder and former chairman of JML Optical Industries, created the professorship to strengthen a unique program for children in our region. To read more about Joe and the critical role Dr. Pegoli plays at the University, click here. Ramon “Ray” Ricker ’73E (DMA), professor emeritus of saxophone, and his wife, Judith Ricker ’76E, ’81E (MM), ’91S (MBA), made a significant commitment to support faculty and students at the Eastman School of Music. Their gift will endow two faculty positions—a professor of saxophone and a professor of jazz saxophone—and a scholarship fund to support talented classical and jazz saxophone students at Eastman who demonstrate financial need. The Rickers also use their membership to support the Eastman School and Simon Business School annual funds. To read more about Ray, Judy, and their gift, click here. University Trustee James C. Wyant ’67 (MS), ’69 (PhD), saw his generous gift come to fruition on October 28 whenGovind Agrawal, Ph.D., professor of optics at the Institute of Optics, was installed as the inaugural Dr. James C. Wyant Professor in Optics. Wyant has been a visiting professor at the Institute of Optics since 1983 and has returned to Rochester annually to teach in the Institute’s summer school for 29 of the past 30 years. To read more about Dr. Wyant and Professor Agrawal, click here. On October 2, Anton P. Porsteinsson ’93M (Res), P’14, director of the Alzheimer’s Disease Care, Research and Education Program was installed as the inaugural William and Sheila Konar Endowed Professor. Porsteinsson is an internationally renowned clinical researcher, a leading expert in Alzheimer’s disease and dementia, and a reason to be optimistic about the fight against these diseases. To read more about Dr. Porsteinsson’s work, click here. The George Eastman Circle is closing in on 2,800 memberships around the world, which you can now view online. Find out how many fellow members live in your state and where members are outside the U.S. by viewing the interactive membership map, here. Click and drag the map to move around the world and use the slider on the left-hand side to zoom or expand your view. 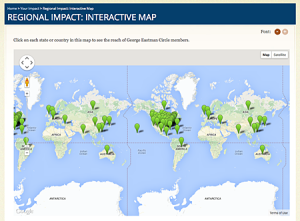 While you are on the George Eastman Circle site, be sure to visit the “Your Impact” section. To read about the difference you and your fellow members have helped make, click here. The George Eastman Circle is helping to shape the future of the University and the lives of those it serves. Your five-year commitments are providing critical budget-relieving annual funds to schools and units across the University. Together we’re strengthening the entire University and, ultimately, its ability to make a profound impact on society. January 23: San Francisco, Cal. April 10: San Diego, Cal.